so so sweet Minna! I love it!! I am going to save it to work on after I finish all the swaps I signed up for :) Hope you are doing well!! Awesome. It is amazing how some people come up with cool blogs. Thak you,Minna.Fico feliz sabendo que você gostou do meu trabalho.Kiss. 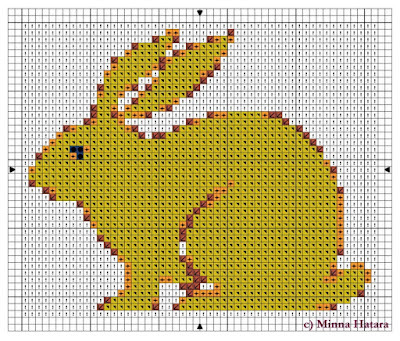 Thanks for the pattern Minna!!! Gracias!!!! !, ahora se puede aprovechar para hacer para pascua. We love your blog. Good job keep up the good work. The bunny pattern is nice.